Congrats to our top team in West of Scotland Senior League for successfully gaining promotion to Division 1. 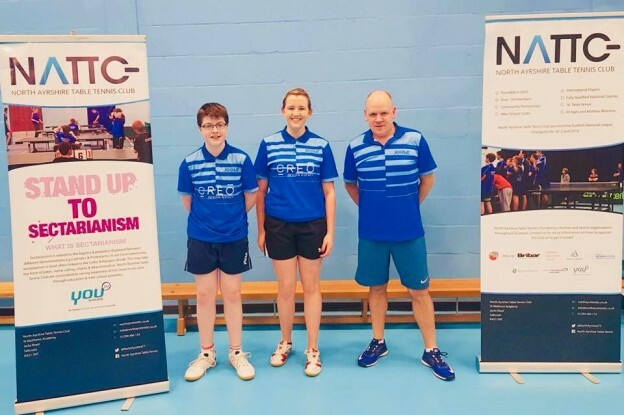 The team of Jill Taylor, Ian Macpherson & Jamie Johnson beat Uddingston TTC 5-2 in the play off to secure promotion to the top teir of the WoS Senior League. Well done to Ian, Jill and Jamie on a great season and also winning the Divisional Cup. This entry was posted in Featured, Latest News on 9th May 2018 by Chris Main.